An interesting look at the sports event industry​ in Greater Raleigh, N.C.
And they&apos;re off! 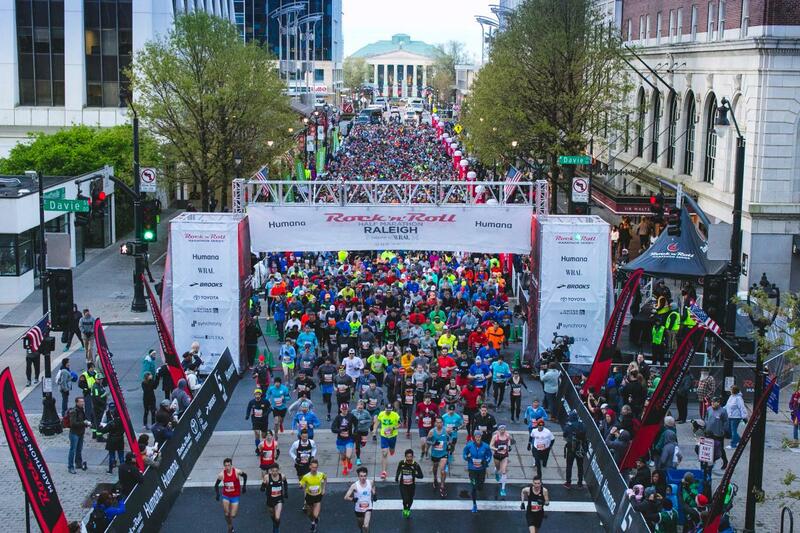 Thousands start the 2018 Rock &apos;n&apos; Roll Raleigh Half-Marathon on Fayetteville St. in downtown Raleigh. My run through downtown Raleigh on the morning of April 8 was more than 13.1 miles. Not in actual distance, of course, because the legs couldn’t handle much more. The race, my first in the themed Rock ‘n’ Roll series, offered the chance to take plenty of steps forward, some faster than others, but also a chance to step back in time. 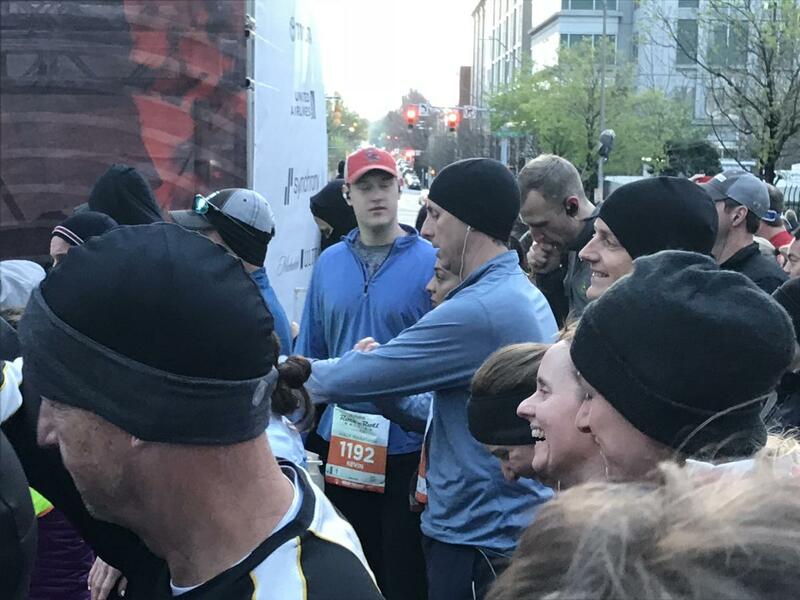 I’m not new to Raleigh, and I’m not new to half marathons—through a bit of luck and a lot of craziness, April 8 was my second 13.1-miler in a span of three weeks, the first being western Wake County’s Tobacco Road Half Marathon. The Rock ‘n’ Roll event was my first 13.1 in the City of Oaks since Sept. 22, 2001—my first half marathon, and yes, I remembered the date without the help of Google. In between then and now, I’ve trained and raced on many of the same streets that were part of the Rock ‘n’ Roll course. The memories came flooding back, from the moment we started, giddy and energized just after sunrise on Fayetteville Street, to the last turn, a right from Saunders St. to the finish on Lenoir St. Runners from 47 other states joined us locals on Sunday. Running has developed into its own touristy niche—there is such a thing as a race-cation for some. Pick an ideal destination, match up travel schedule with race schedule and plan a trip around that event, with plenty of time for tourism in between. Some hard-core runners might plan a run-cation, which may or may not include a race but does include sampling a locale’s running venues for several days in a row. The distance and diversity of Greater Raleigh’s greenways, combined with so many food and beverage options, make this area ideal for such a trip. Local running clubs mix things up with miles on a local track one day, at Umstead State Park another, a nearby greenway or neighborhood path. Tourists can easily do the same. And at the Saturday race expo, when I saw, in rapid succession, people wearing hats that said Kansas State, Iowa State and Montana State, I was reminded that while plenty of locals run this race, many were here for the first time. What visitors and locals got from the Rock ‘n’ Roll course: an on-time start, always important when nerves begin to creep in; ample course support in the form of official aid stations, unofficial sign-holders (my favorite: “Hurry up! I want brunch”), noise-makers and, at the corner of Bloodworth St. and Oakwood Ave., baton twirlers; plenty of smiling faces; and of course, music throughout. I don’t know the names of the bands along the course, and the words from the covers and original work have now escaped me, but suffice it to say the music was energizing. On-course highlights for me: the Shaw University band at about mile two; signs along the hill on Glascock St.; enthusiastic water station workers, including the William Peace University softball team around mile 5.5; bagpipe players on Hillsborough St., about mile seven; and a lone cyclist just past mile 11, holding a boombox that blared Sir Mix-A-Lot. Course-wide enthusiasm like that is what makes visitors want to come back, although they won’t be back for a Rock ‘n’ Roll-branded race, as it was announced a few weeks ago that the five-year run in Raleigh was ending. Over five years, more than 37,000 people from all over the nation and world have run Rock ‘n’ Roll Raleigh, generating more than $17 million in economic impact. The runners should want to return for more than one specific race. The chance to run in Raleigh meant the chance to reflect on races past, on what Raleigh used to be and where it’s now headed. Downtown, I traversed streets that are part of the old and new courses for the Triangle Run/Walk for Autism, which I’ve run on October Saturday mornings probably 15 times. On Hillsborough, I was reminded of taking part in the Old Reliable 10K, a venerable race previously held on Sunday afternoons in mid-November. For that one, I recall pushing my 18-month-old son in a jogging stroller around the turn of the millennium, starting and finishing near Nash Square. For the Rock ‘n’ Roll race, my son remained nearby—asleep in his dorm at NC State, not two-tenths of a mile from where I ran. Any run on Person St. conjures up olfactory dreams of doughnuts and one iconic race I haven’t done yet—the February Krispy Kreme Challenge. Someday. Being on Fayetteville Street for the start, surrounded by thousands of others, reminded me how far Raleigh has come in 10 years. In late 2008, when the economy was faltering, I could leave work in the evenings and run the wrong way on one-way roads leading into downtown. It wasn’t the best decision, but I didn’t feel unsafe, either, as there was little oncoming traffic. People were not flocking to downtown Raleigh. Times have changed. More people live downtown, and more people want to be downtown. There’s a plan in motion to transform Dorothea Dix Park into a world-class park. Construction was ongoing in many parts of the course. After the race, at not yet nine o’clock on a Sunday, the opening act for the Rock ‘n’ Roll party was playing at Red Hat Amphitheater. This was not sleepy ol’ Raleigh. The races around here have always had friendly faces, but this year, well, there were more of them. 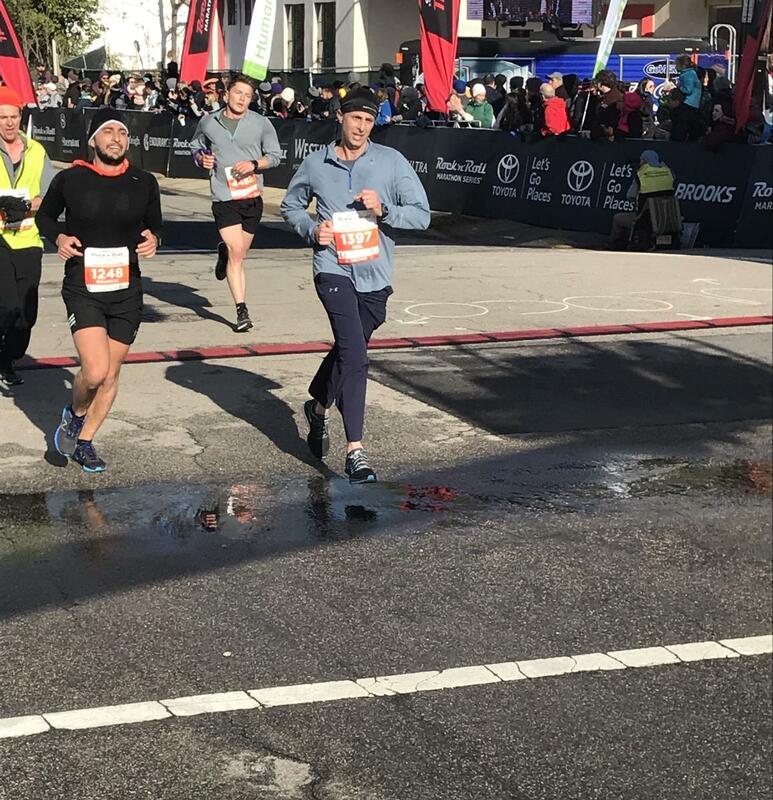 That’s one thing that kept me going on the course, a feeling that I was among friends—about 5,000 fellow runners, plus those handing out Gatorade or energy gel or playing a tuba, guitar or djembe drum. Any time you complete 13.1 miles, you should be happy. I fell short of my time goal by 14 seconds per mile, but time isn’t everything. I got to look at and listen to the start of a beautiful Sunday morning, taking a glimpse into the past and getting a peek at Raleigh’s future.